CINEMOOD 3-in-1 Magic Cinema 12 Ft Display White is currently selling at $349.99, which is its normal price. It has a lowest price of $349.99 and is selling within its usual range. Price volatility is 0.15% (meaning it does not change often), so you might have to wait a while for the price to drop. Until then this is a recommended 'ok deal'. The current deal is also the best price on this item over the last month. 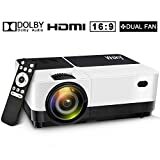 Compare the current price, savings (in dollars & percent) and Buy Ratings for the top Portable Projectors that are closely related to CINEMOOD 3-in-1 Magic Cinema 12 Ft Display White. 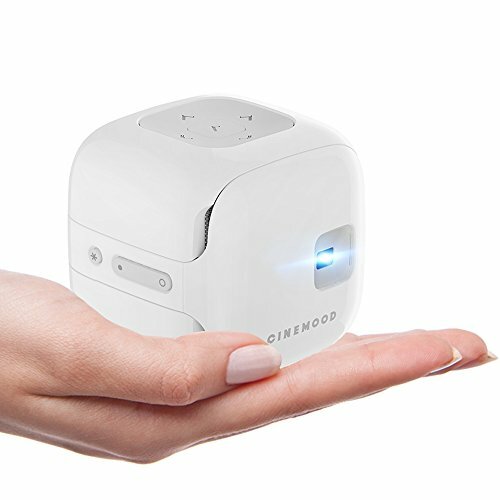 Here is how CINEMOOD 3-in-1 Magic Cinema 12 Ft Display White compares with other leading Portable Projectors. • All-new cinema feeling with up to 150” projection on any flat surface. A built-in access to leading subscription-based platforms creates an endless library of movies and shows. • Wireless independence via 120+ hours of preloaded content, including Disney, 16GB memory and outstanding up to 5 hours rechargeable battery. • The 3”Pportable Movie Theater is easy to use with kid-friendly directional button controls. 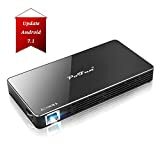 It works as a standalone device - no connection to computer/phone or wall outlet needed.